Click here to view Danny's Time of Sharing. Click here to view Danny's Memorial Service. Daniel A. 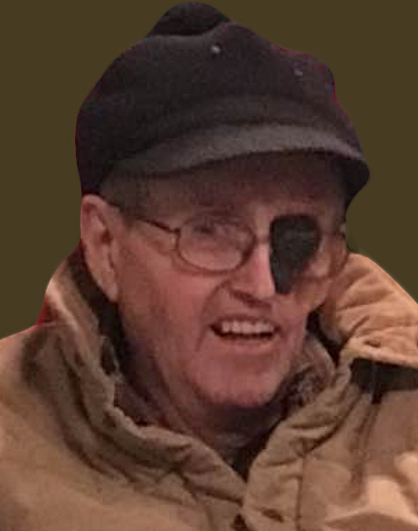 “Danny” Northrop, 60, of Aberdeen, passed away Sunday, November 18, 2018, at his home following a 47-year courageous battle with cancer. His wishes were to be cremated. Memorial services will be 11:00 a.m., Saturday, November 24, 2018, at Schriver’s Memorial Mortuary and Crematory, 414 5thAvenue NW, Aberdeen, with Father Michael Griffin officiating. A luncheon and time of fellowship will immediately follow the service at Schriver’s Memorial Fellowship Center. Visitation at the mortuary will be 6-7 p.m., Friday, with a gathering and time of sharing beginning at 7:00 p.m. Visitation continues one hour prior to the service on Saturday. Family and friends may sign Danny’s online guestbook and also view his service via the live stream service link at www.schriversmemorial.com. To honor Danny’s love of sports, his family requests that all attending his service wear their favorite sports jersey. Daniel A. Northrop was born August 23, 1958, in Aberdeen, SD to George and Beverly (Bertha) Northrop. At a young age, Danny moved with his family to Warner, SD, where he attended school. Following graduation from Warner High School, Danny furthered his education at Northern State College in Aberdeen. Danny was united in marriage to Debbie Blide in Aberdeen on July 8, 1983. Their union was blessed with two daughters, Danielle and Shannon. The family made Aberdeen their home, where Danny was employed as a machine operator at 3M for 37 years before retiring in 2012. He continued to reside in Aberdeen until the time of his death. Danny was an avid sports fan, especially of the Dallas Cowboys. He loved watching sports and hanging out with his friends in his garage. Danny also was a true nature lover. From the time of his youth being active in 4-H, rodeos, bull riding and horseback riding, until more recently camping with family, fishing, and pheasant hunting, Danny loved every moment spent outdoors. His favorite holiday was always the 4thof July, when he would have a big fireworks display. Danny also enjoyed canning pickles in the fall. Grateful to have shared in Danny’s life are his wife of 35 years, Debbie Northrop and his daughters, Danielle (Jerad) Larson and Shannon Northrop, all of Aberdeen; four grandchildren: Kaden Larson, Danae Pfitzer, Kaelynn Hanley and Sophia Harr; one brother, Kenny (Sandra) Northrop of Mina, SD; two sisters, Nancy Hofer of Webster, SD and Penny (Wayne) Brown of Mellette, SD; as well as many nieces, nephews, and cousins. Danny was preceded in death by his parents and an infant sister.